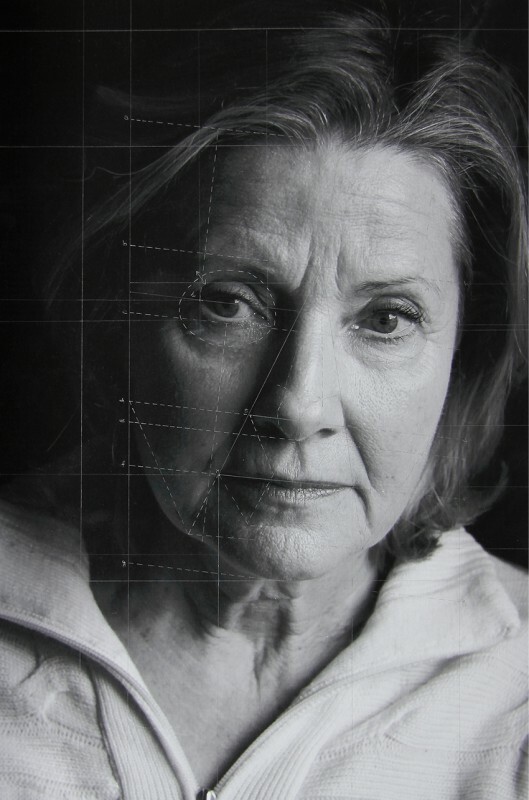 Closer (2014) is a series of printed black and white portraits of the artist’s mother, which have been engraved with delicate pencil lines outlines and letters/numbers. 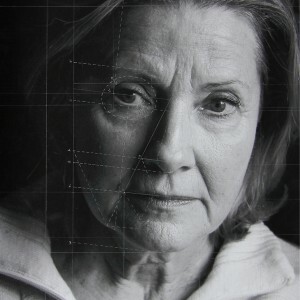 The accurate measuring of the subject’s proportions, almost like in preparation for a portrait study, represents an attempt to get closer to her mother. However the methodology employed highlights the distance and failure to achieve an emotional contact.